Born in Brooklyn and reared on the "Northshore" of Massachusetts, Brian Brogan is a internationally recognized shamanic artist. A world traveler who has lived in 7 different countries, he now lives in the west of Ireland with his artist wife Jessie Brogan who works in Faery Seer ship Tradition. 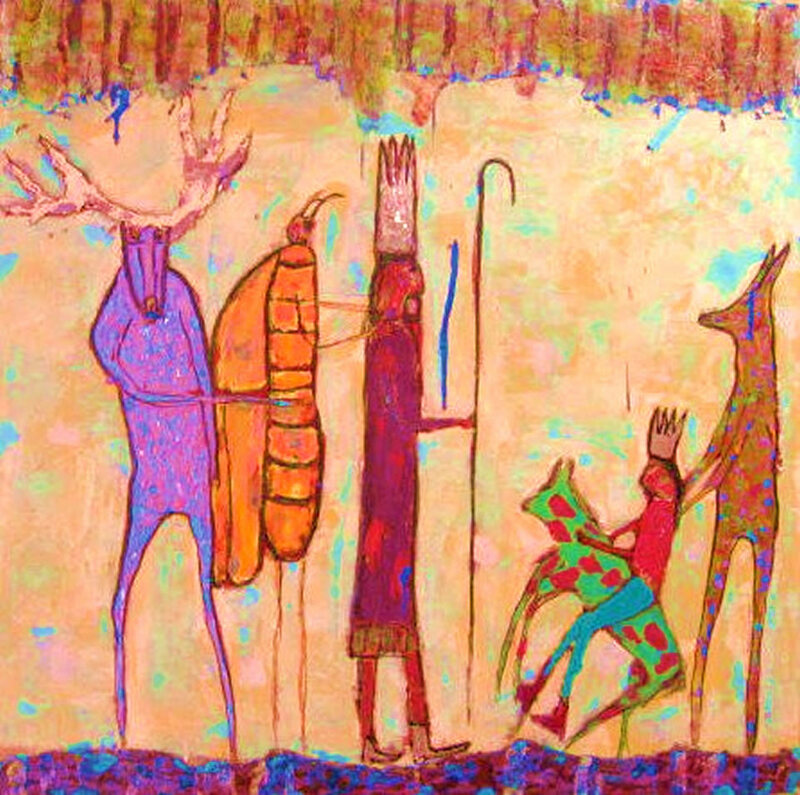 For Brian, discovering the act of creating poetry was both an epiphany and a revelation in his quest to combine his painting and shamanic interactions with nature and cosmos. Brian writes, "In both my poetry and art much of my imagery is dreamlike, and comes to me in dreams, visions, and other liminal states of consciousness where the material world meets the spirit world. I am attracted to dreamlike places where tropes merge, meanings shift, and past, present, and future fuse. At these junctures space can become time, and time can turn into space. Within my poetry are alchemical narratives that resurrect presences, light and hope inside the insistent paradox of the human condition." Brian is currently working on his manuscript "Tracking The Masked Dawn" for publication.